Don C‘s Converse ERX 260 will be making its way to Charlotte for 2019’s All-Star Weekend festivities. Following last month’s release, the throwback silhouette now pays homage to this year’s ASW host city with a Hornets-inspired mix of purple and teal accents. 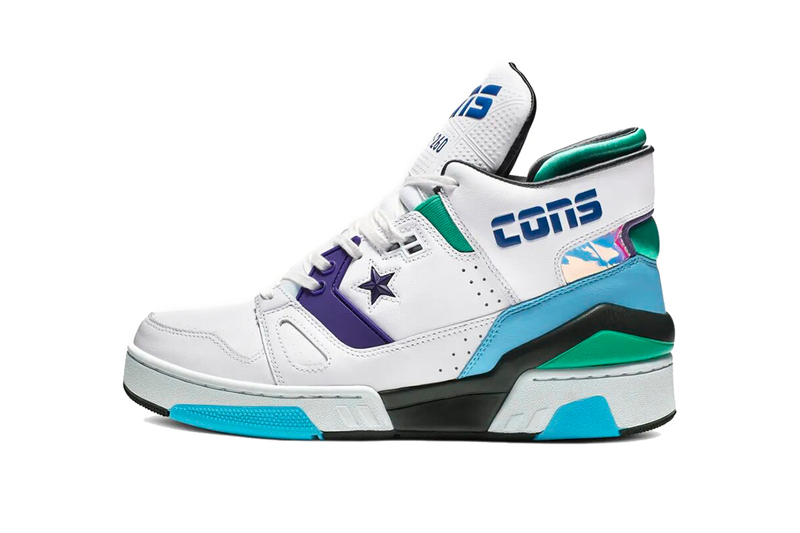 Shiny iridescent details are placed on the heel areas, while signature branding is incorporated in the form of Converse’s star logo on each side, and a large “CONS” stamp on the tongues. Former Converse ambassador and Hornets great Larry “Grandmama” Johnson would surely be proud to sport these. The Converse x Don C ERX 260 will arrive on February 15 for $110 USD at select Converse stockists and Nike SNKRS. Elsewhere, this news comes on the heels of the Chicago-native’s Just Don collection getting uploaded into NBA 2K19. Artworks that draw upon the Black queer male body. Paying homage to the rock n’ roll band’s debut album.